A beautiful water holofoil card from the original Base Set, and a staple in Rain Dance decks in the mid-1990’s. 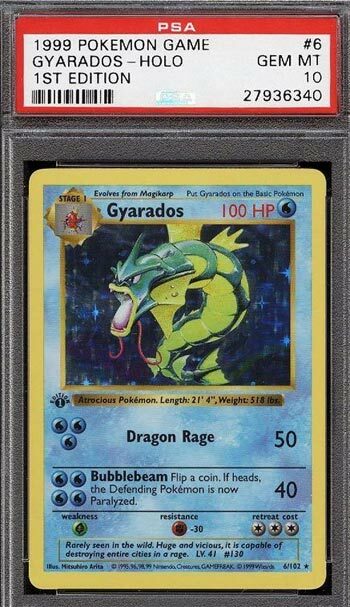 This card sold for $2360 in November 2017. Another copy sold for $2225 in October 2017. Both cards were graded as Gem Mint by the PSA. First Edition Base Set Rare cards can command ridiculously high prices if they’re graded Perfect 10’s.